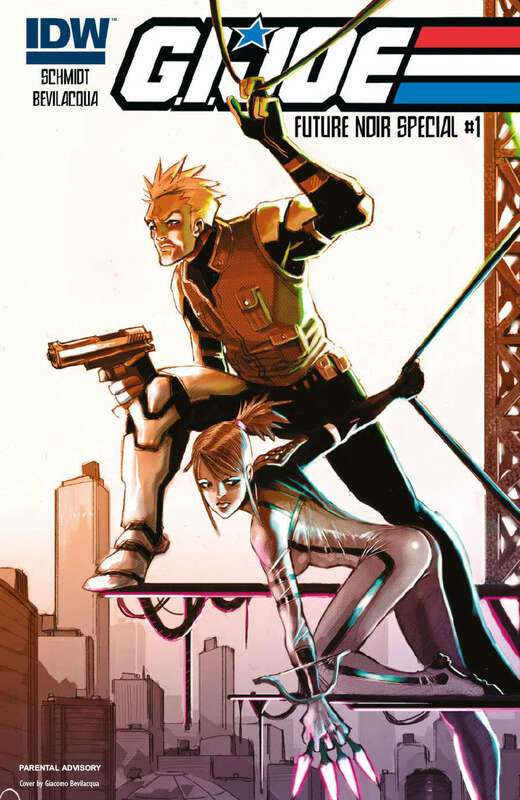 And now, for something different: IDW and Hasbro present an all-new take on the famed soldiers that includes high-explosive action in anime-influenced “future noir” style! Join DUKE and SCARLETT on this special two-part extra-length adventure as they take their team into a mysterious investigation that’s about to turn their world upside down! What is this COBRA cult? And how can it have Japan under its control?